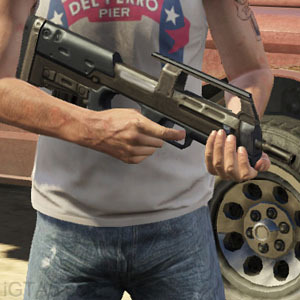 Many weapons have some customization options such as the attachments listed above but you can also get color tints for some too. 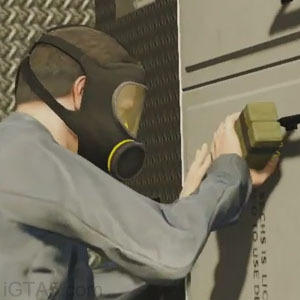 Note attachments have benefits such as grips increasing accuracy. 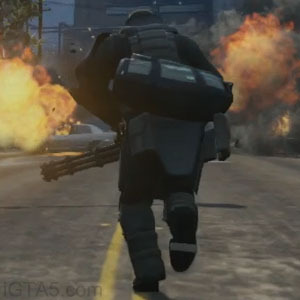 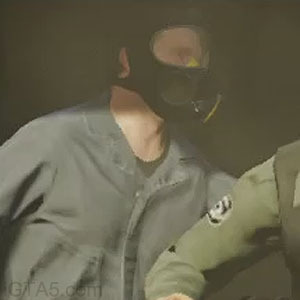 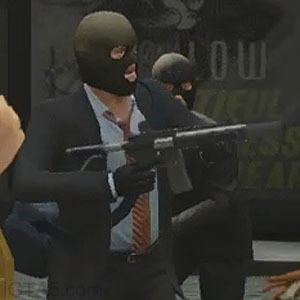 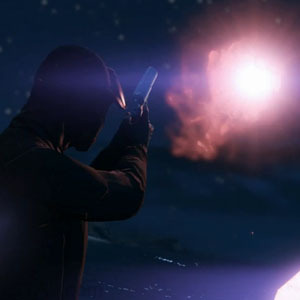 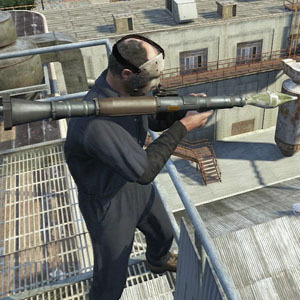 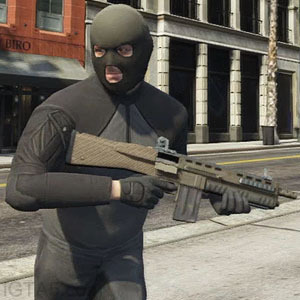 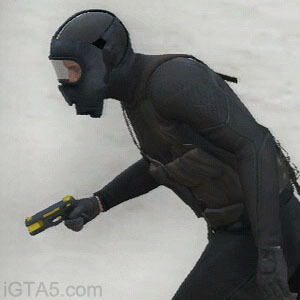 As for obtaining weapons off of fallen enemies or back alleys, GTA IV introduced weapons lying on the ground in a more realistic fashion but in order to make them visible to players they had a red-orange glow. 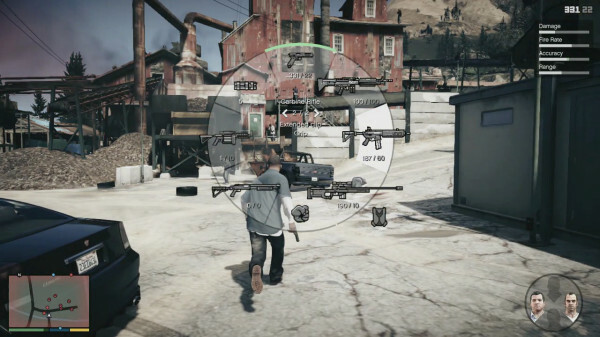 In Red Dead Redemption, weapons had a bright white shine to catch your attention. 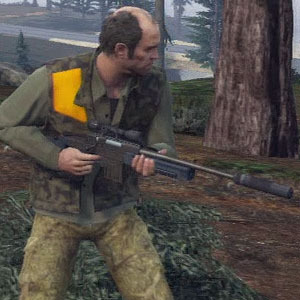 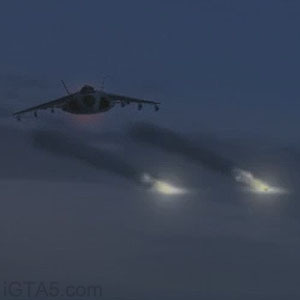 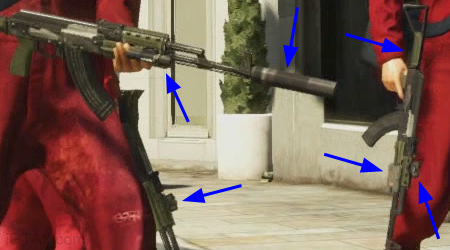 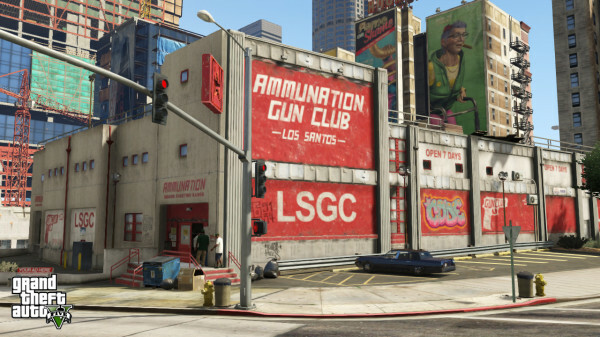 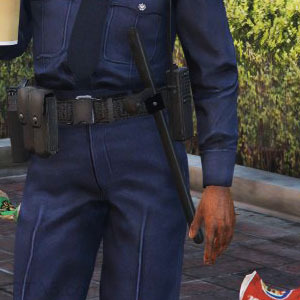 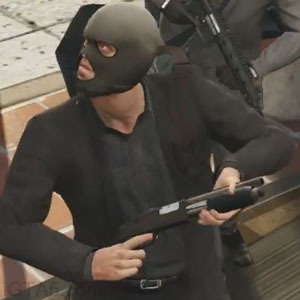 In GTA V the weapons are on the ground and flash white to get your attention. 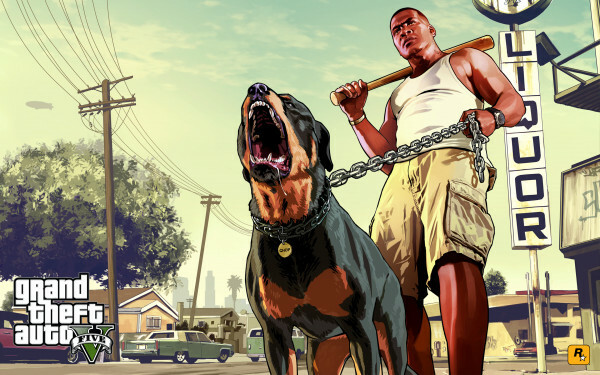 Dogs can assist in taking down enemies or on the other side keep you out of certain areas. 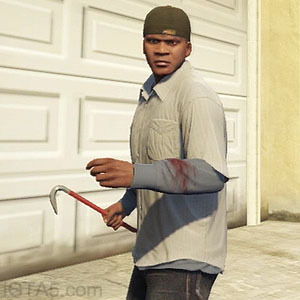 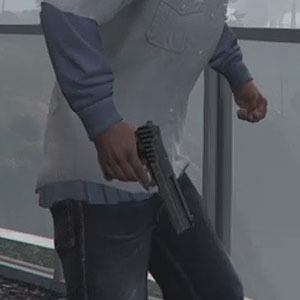 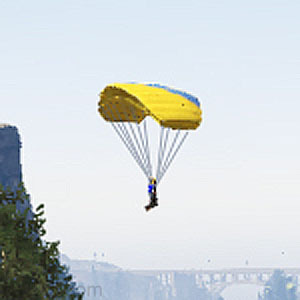 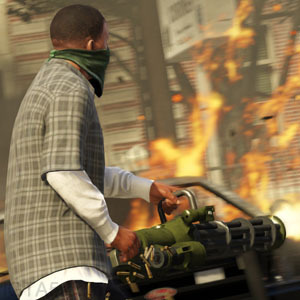 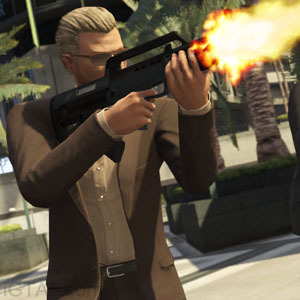 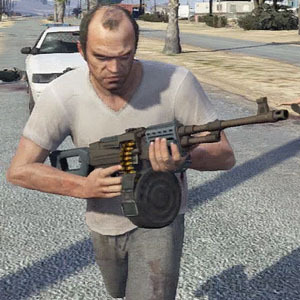 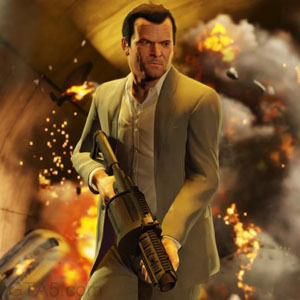 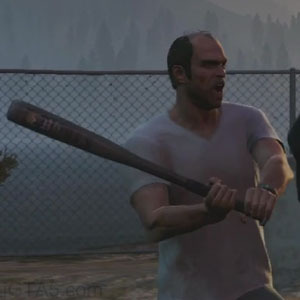 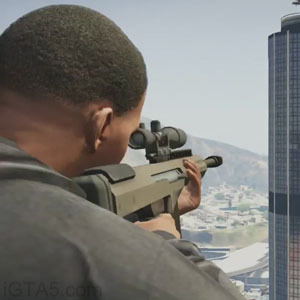 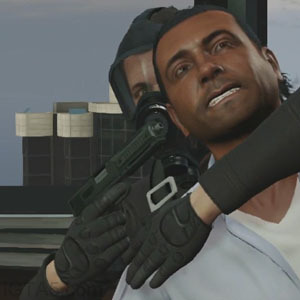 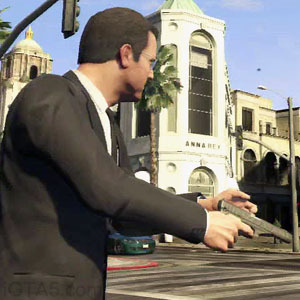 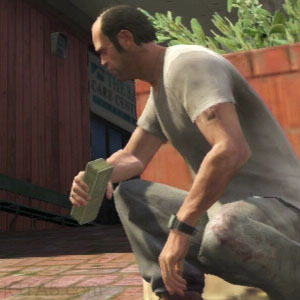 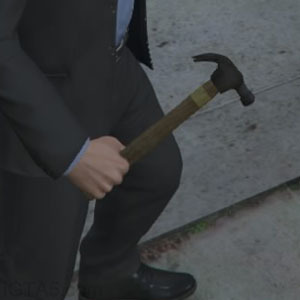 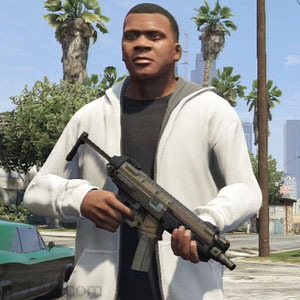 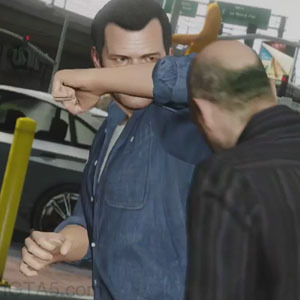 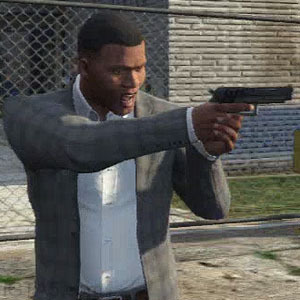 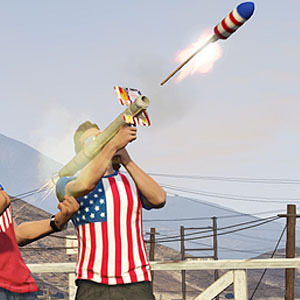 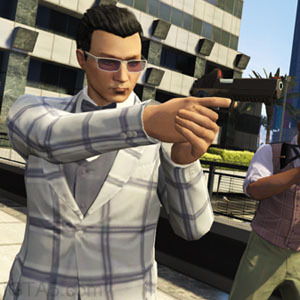 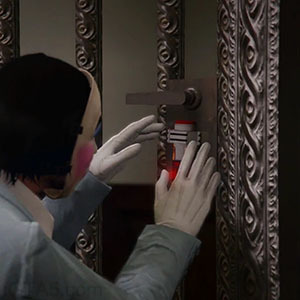 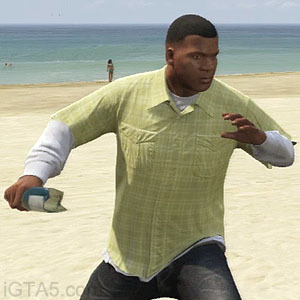 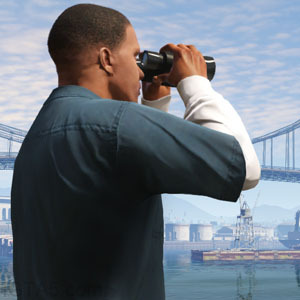 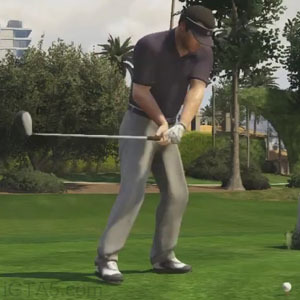 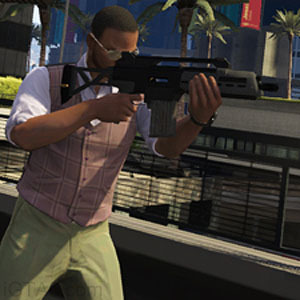 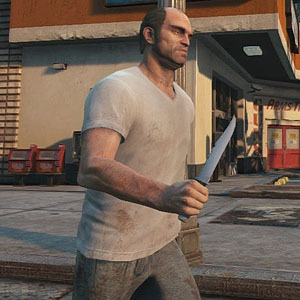 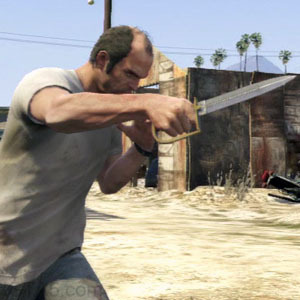 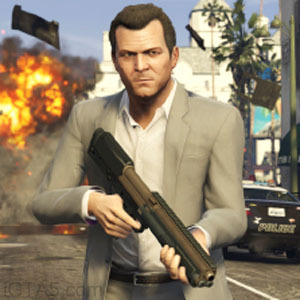 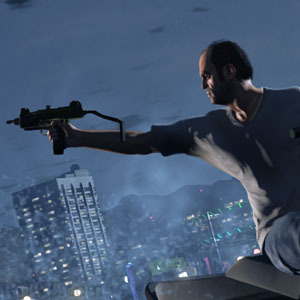 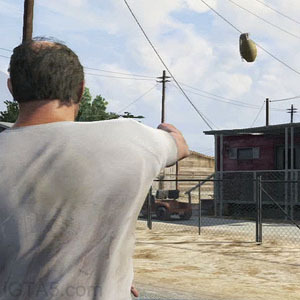 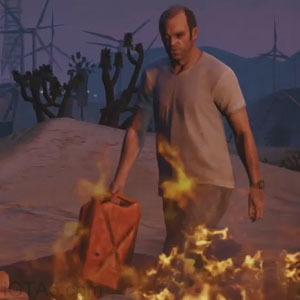 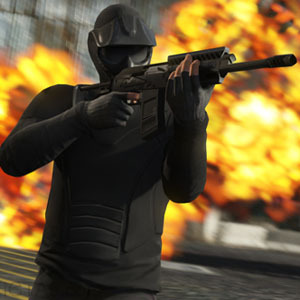 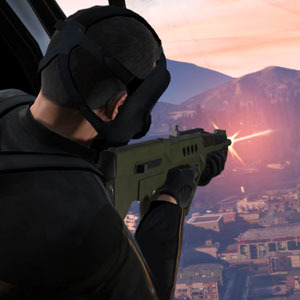 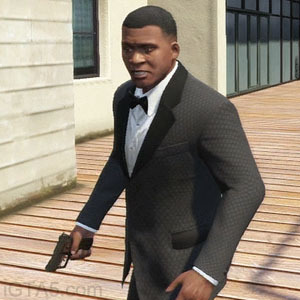 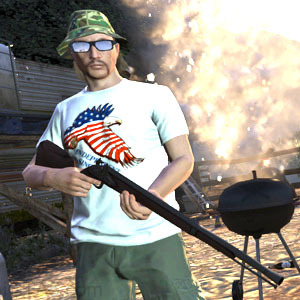 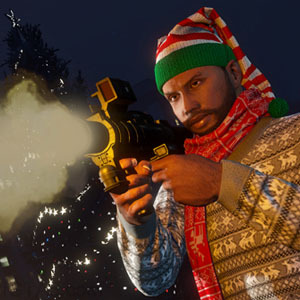 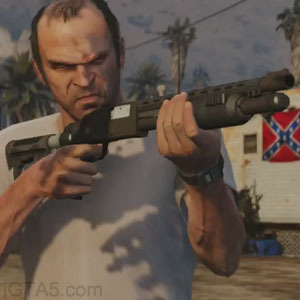 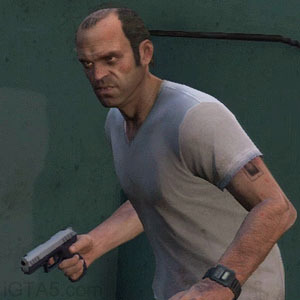 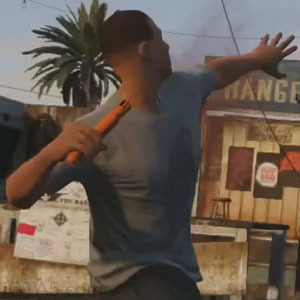 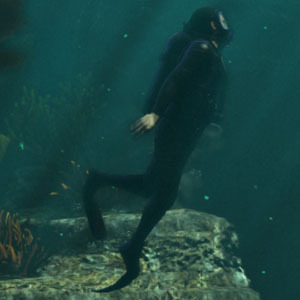 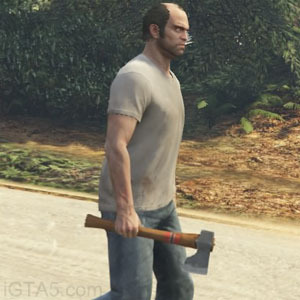 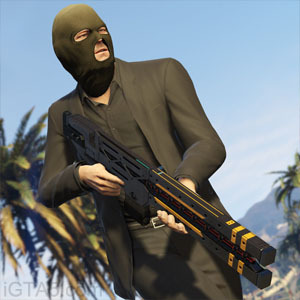 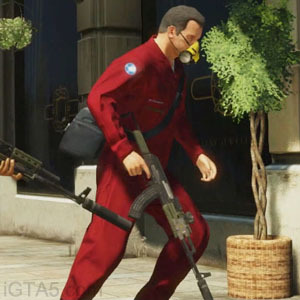 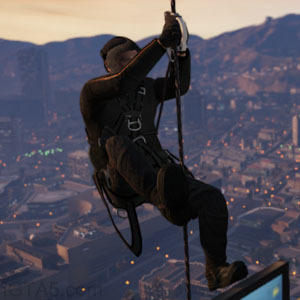 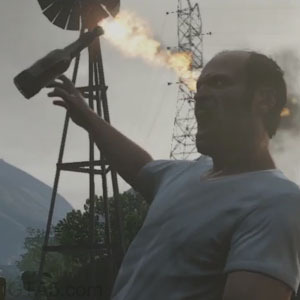 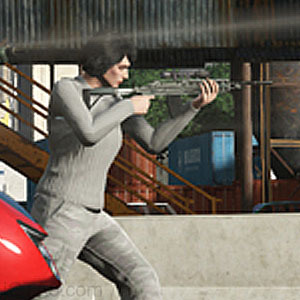 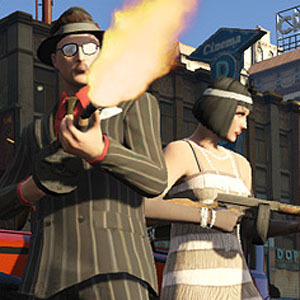 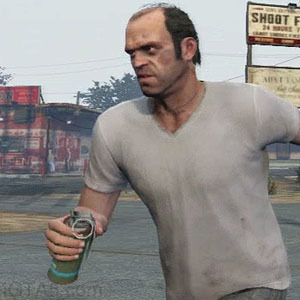 Chop can be controlled to some extent by Franklin (using the real-life GTA V app) and help distract enemies. 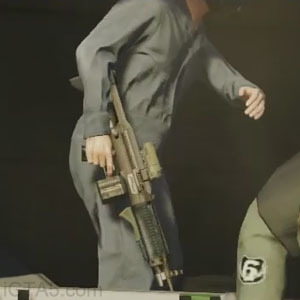 Look for more weapons to be added in future DLC!